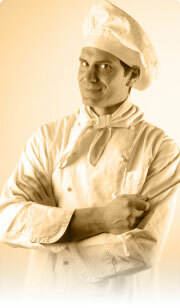 No one is born a great cook, one learns by doing. Aspiring students of different public and private high schools in Davao region are vying for the most awaited school based culinary challenge in Mindanao – Junior ICHEF Culinary Challenge (JICC). Aspiring students from different high schools are all keyed up for JICC 2015. Each school will show off their skills as they send their young chefs to compete with other aspirants. The aim of this event is to come across with students who have what it takes to be the next JICC Grand Winner. 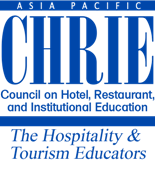 This event is a program of the Institute of International Culinary and Hospitality Entrepreneurship (ICHEF) for those high school students who want to be part of ICHEF – for them to develop their skills in culinary and to increase their knowledge as well, the winner will receive a scholarship in the said institution. Last November 14, 2015, the 20 Semi-Finalists competed for the top 10 spots with an idea of “Market Basket”. The committee prepared ingredients to be displayed on top of an island in the kitchen and the aspirants were given 5 minutes to check out the display – just like a market set up – and to think of their dish to prepare. Another 10 minutes for them to grab their desired ingredients and after securing all ingredients needed, they were given another 5 minutes to set up their preparation table and go back to the Market Basket Island to grab their missing ingredient. Aspirants were given two hours to prepare and plate their dish, including the cleaning of their preparation table. Armed with their cooking utensils, the top 20 semi finalists prepared their winning dish with pride in their smiles, all were preparing harmoniously like they were orchestrated. In less than two hours, some of the finalists were already done and presented their dish to the board of judges. The top 10 spots were finally filled after the deliberation by the board of judges. In ascending order, the names were finally announced, Kay Necesito from Holy Cross of Mintal; Lendy Lou Aguilar from Saint Peter’s College of Toril; Kate Lalaine Laña from Holy Cross Academy of Digos; Precious Alliana Sanchez and Beatriz kyle Revilla, both from Precious International School of Davao; Eireen hans Esmeralda from Holy Cross of Mintal; Earl Clint Talidano from Ateneo de Davao University; Sahara Abal from University of Immaculate Conception; Ana Marie Flores from Philippine Nikkei Jin Kai International School; and on the first spot, Alyssa Maramion from University of Immaculate Conception. 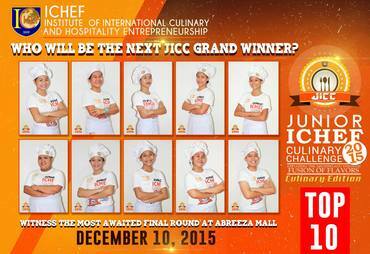 The top 10 aspirants will have a workshop with ICHEF’s Chefs in preparation for their final round. 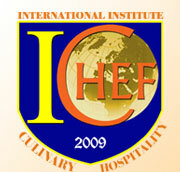 The Semi Finals was a successful event with the teamwork of ICHEF Faculty and Staffs with the event’s sponsor and judges. Members of the board of judges were Chef RJ Custodio, National Master Trainer in Food Production, Chef Michael Caffrey, World’s Master Chef Awardee, and guest judge, the Marco Polo Davao’s Executive Chef, chairperson of the board, Chef Ed Tuazon. The aspirants were assisted by the selected student marshals, together with Chef Jumil Dela Torre, National Master Trainer in Food Production, and Chef Clinton Gregorio, ASEAN Master Trainer in Food Production, and ICHEF’s Pastry Chef Trainer. The Top 10 finalists will soon compete for the final round at the Global Skills 2015, held at Abreeza Ayala Mall, on December 10, 2015.